The C.G. Conn 62HCL in-line independent double rotor bass trombone in the key of Bb/F/Gb features an 9-1/2" professional rose brass bell producing a warm, rich sound. The .562" primary bore combined with the .594" bore through rotor sections offers outstanding clarity and projection with less resistance. The F/Gb sections feature the patented "CL2000" valves designed by renowned solo trombone artist Christian Lindberg. The unique design is extremely efficient, smooth, and quick and removes any resistance normally found in a traditional rotor valve. They also boast the shortest "throw" of any trombone on the market today providing the quickest transition to the F/Gb side of the trombone. The chrome plated nickel silver inner handslide tubes provide the ideal surface for smooth and quick handslide action. The clear lacquer finish adds a subtle warmth to the sound overall. The C.G. 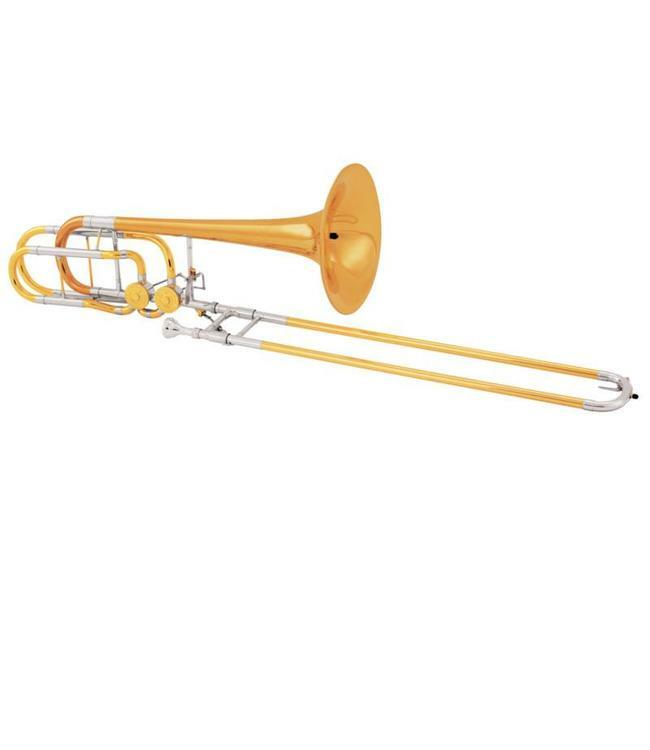 Conn 62HCL professional bass trombone is ideal for both symphonic and solo performance.